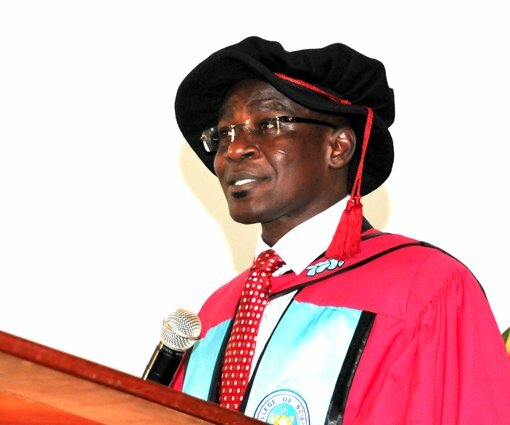 Professor Kwasi Obiri-Danso has been appointed as the Vice-Chancellor of the Kwame Nkrumah University of Science and Technology (KNUST) for the next four years. His appointment takes effect from August 1, 2016, to June 31, 2020. This was contained in a statement by the KNUST on Thursday, May 19 and signed by the Acting Registrar of the University. The appointment of Prof. Obiri-Danso was announced after the Council of the University held its 238th special meeting on Thursday. Prof. Obiri-Danso holds a Bachelors Degree in Biological Science and an MPhil in Food Microbiology from the KNUST and a Ph.D. in Environmental Microbiology from Lancaster University in the United Kingdom. He is currently the Provost of the College of Science at the KNUST.